Select one or more of the following upgrade options to enhance the performance of this product. Prices include parts and labor. Simply select the below options and then ADD TO CART the above product. These options will be added to shopping cart together. 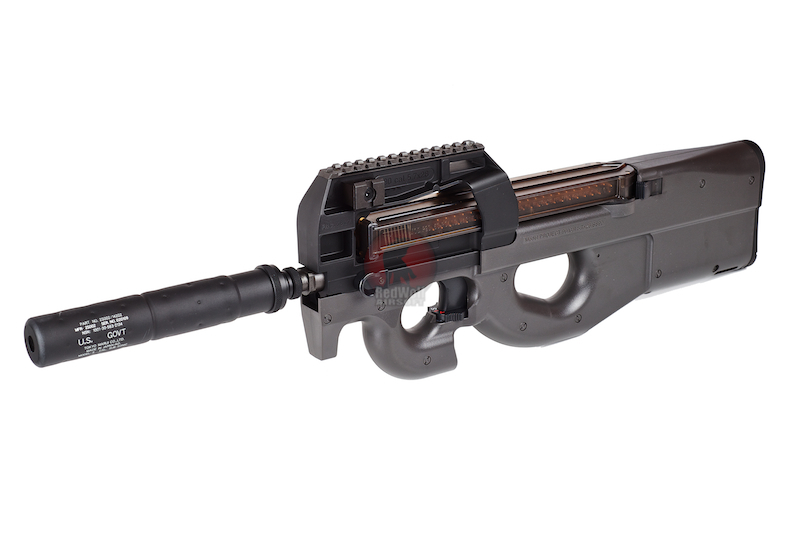 A variation of the standard FN P90, the TR version replaces the integrated red-dot scope with an RIS sight rail, and provides two additional side rails for the installation of accessories. 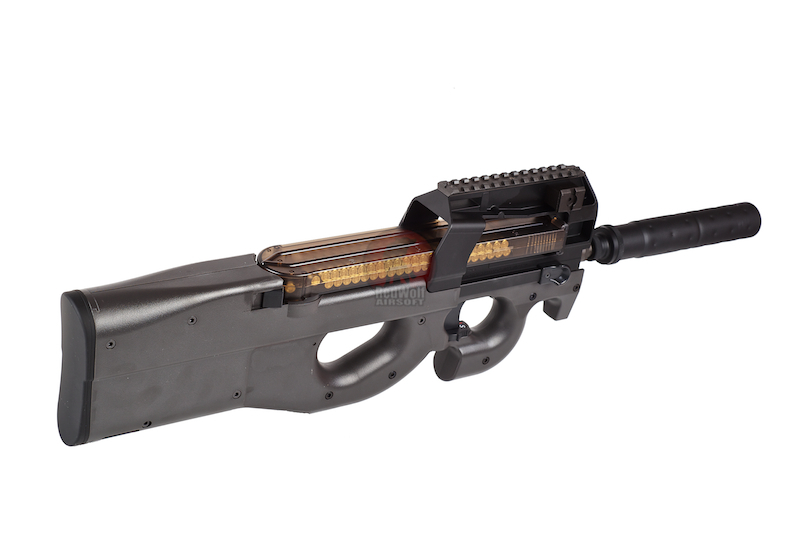 A full metal SOCOM silencer is included as well. 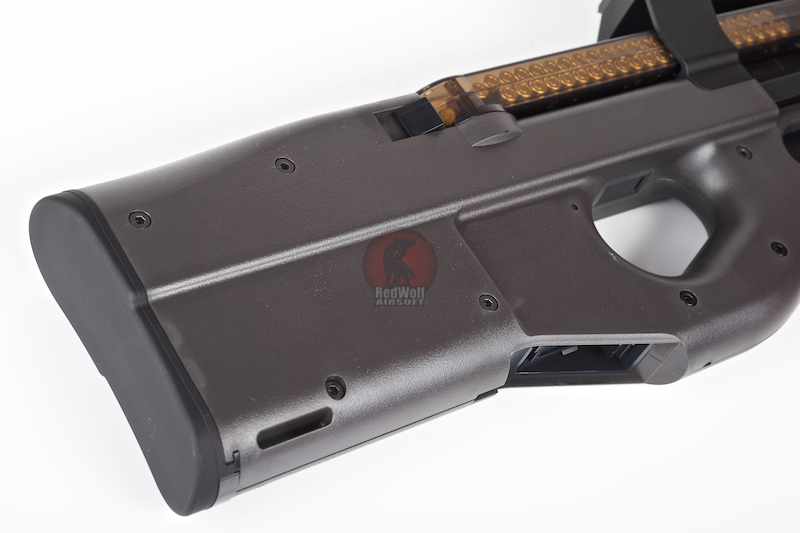 The color of the body is a slightly lighter grey to differentiate the TR version with the standard version. 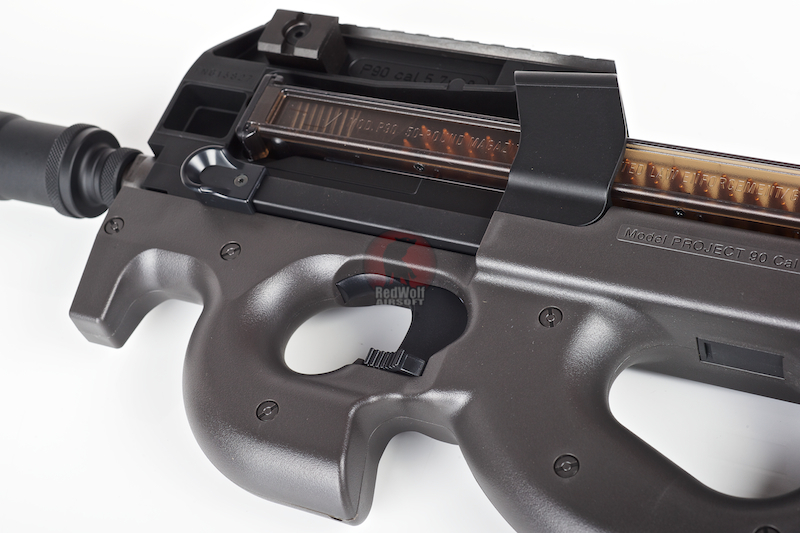 The RIS rail thus allows users to install a scope of their choice. Comes with original metal flash-hider should you desire to revert to operating in an un-silenced mode of battle! Magazine has convincingly real looking rounds within. 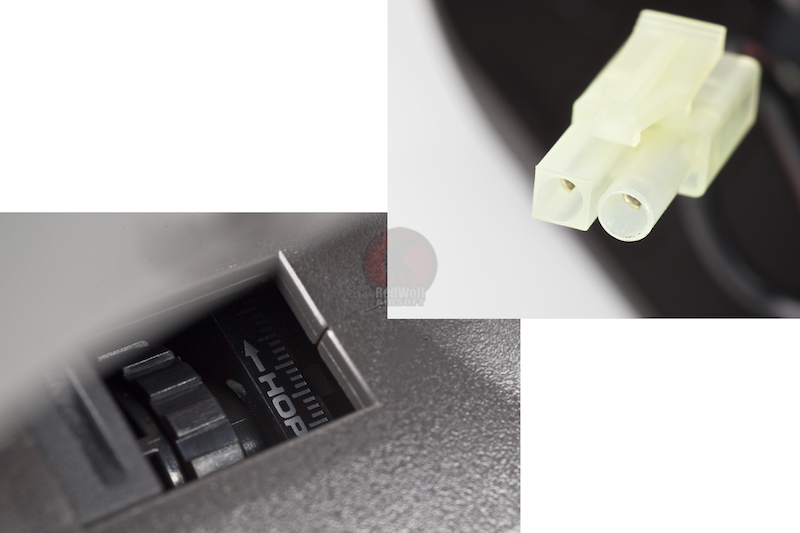 The threaded barrel allows installation of a counter-clockwise threaded silencer which you can find in our silencers section. 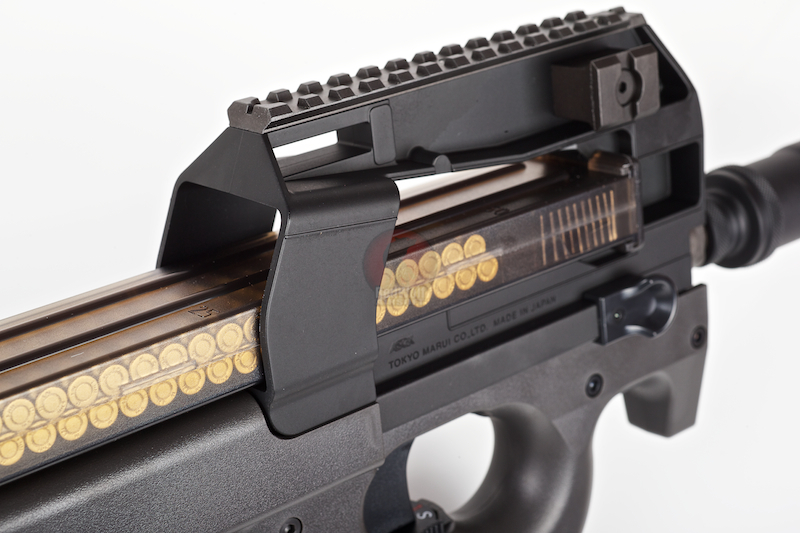 The scope rail allows easy installation of any scope, which you can select from our accessories section. Also, considering opting for a 330 round high capacity magazine and a sling. 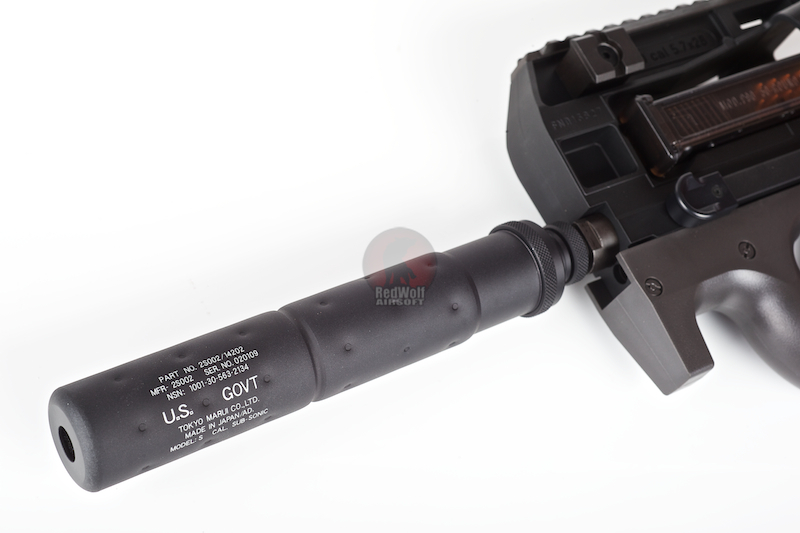 An RIS rail also allows installation of flashlights and laser accessories which you can find in our accessories section. © 1997 - 2019 Redwolf Airsoft all rights reserved.